To coincide with her exhibiton about the remaining prefab houses in the UK, 'Prefabs – Palaces for the People', which runs until August 2 at the Photofusion gallery in Brixton, photographer Elisabeth Blanchet leads a tour around south London's Excalibur Estate in Catford. The prefab (short for prefabicated home) came into prominence after World War II as quick-fix housing for areas hit heavily by bombing. Despite their temporary nature, a few hundred remain today, under threat of demolition. 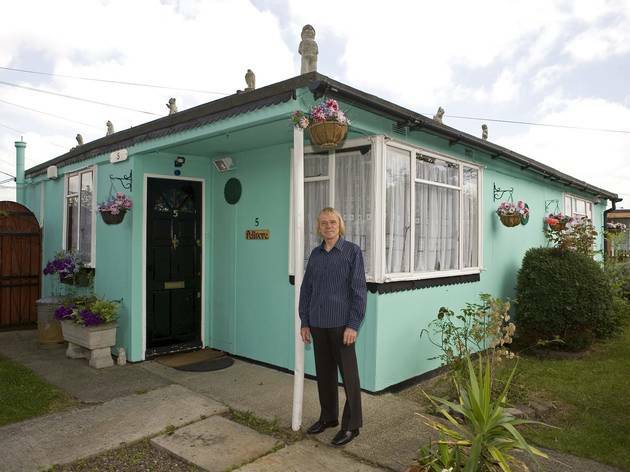 Catford is home to the largest estate of prefabs with 187 homes, all but six of which are set to be pulled down later this year after Lewisham council approved a redevelopment plan in 2010. 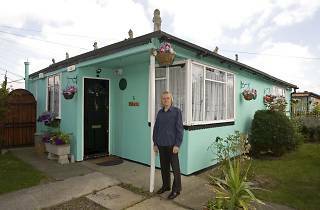 This could be your last chance to see these mini bungalows – the panels of which were constructed by German and Italian prisoners of war – and meet some of the tenants still living in them. Email jenna@photofusion.org or phone 020 7738 5774 to book a place on the tour.